Creating a perfect eyeliner and classic smoky eye effect is one of the most difficult beauty and fashion skills to master. 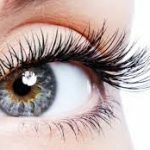 In spite of the use of scotch tape and the best efforts and personal trials, we tend to get uneven and wobbly eyeliner finish. 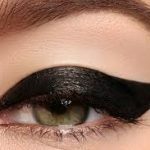 This article teaches you a non- conventional trick that makeup artists use to apply their own eyeliner and get a perfect look and feel. All you need to achieve this get your preferred eyeliner and a compact mirror. To achieve this perfect look, place your mirror over level and stable surface. The surface has to be much lower than you. This helps you to look down and view properly where you want to draw your line. It will also help you to get a tighter line plus eliminates any form of unnecessary gaps. 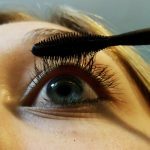 To start with, tighten your toes and put on your eye liner as you would normally. Clenching your toes is known to keep the rest of your body steady especially the hands. When you try it, the result produced is spectacular. Before creating a classic smoky eye effect, you need to first and foremost apply copious amount of moisturizer unto your face with the use of the Expert Face Brush. After this use the same brush to rub your foundation. This ensures that the foundation stays on without any form of streak. It helps you to get a perfect finish. Put a small amount of foundation on the brush and with circular motions, smooth the foundation throughout your entire face area. Your next step is to get a brown eye shadow. Making use of an eye brow brush sweep the powder onto your brows and then pushed the color softly through the brows, in supple upward movements. With the use of your Shadow Brush apply a neutral cream-to-powder eye shadow such as the MAC Pro Long wear Paint Pot, all over your eye lid. Work the eye shadow upwards toward your eye brow. Make use of a color hue that is a bit darker than the natural color of your eye lid to get just a color tip-off. 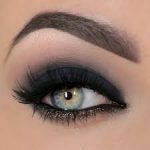 Your next step to creating classic smoky eye effect is to daub a dark brown eye shadow shade such as MAC Embark to the exterior corners of the eyes in a slanting “V” shape with the use of Shading Brush. Layer on the color and be sure to blend. Smear a very dark brown such as MAC Eye shadow along your lash line with the Brow Brush. Try to keep it sketchy at this point. This is the next step to creating classic smoky eye effect. With the use of the brow brush and a black color hue of eye shadow like MAC Eye shadow in Black Tied line the periphery of your eye to create a gradient effect at the lash line. This is your next step to a classic smoky eye effect. The next step to a classic smoky eye is to put in a little bit of sparkle onto the center of your eyelid with the use of your Shading Brush. Blend the concealer under your eyes with a very soft brush such as the Deluxe Crease Brush to get a perfect smoky eye effect. Your next step to perfect and classic smoky eye effect is to use your Shading Brush to get to the inner corners of your eye. Apply eyeliner to your lower lash line. To keep concealer in position and get rid of creasing, get your makeup set with the setting brush and a slack of powder to get smoky eyes.